Following the previous post that can be found here, that updated you all on the coming changes to the server, I thought It would be a good opertuniniy now to talk about cleaning the forums up a little and the new European General Data Protection Regulation (GDPR) that went into effect on May 25, 2018. We want to assure you that Relic-MC takes your personal data seriously and is taking all of the necessary actions to be compliant with this GDPR regulation. To help you understand what this means please continue to read this email and or forum post. It should be first stated that Relic MC does not share or sell any data that we collect and that the only data we have is data that you have provided and data that is used as a core part of the system(s) we run, i.e. game server(s) to work. The information we keep on people are as follows; "The forums, IP addresses that are used when you log into any of our gaming serves." 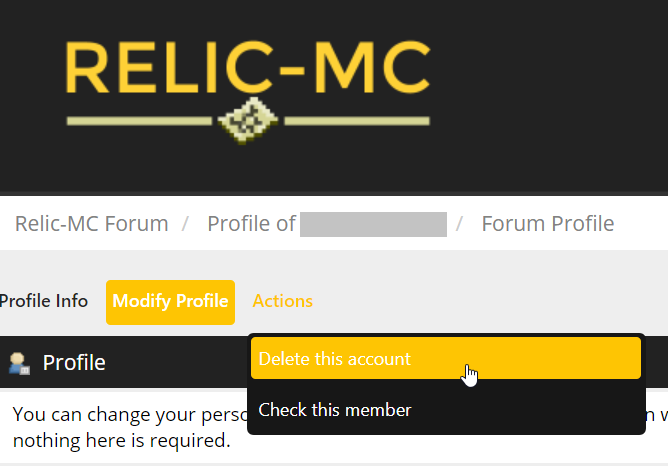 This information is NEVER passed to anyone and is kept strictly within the Relic-MC domain, the only people who have access to this information is Server Admins and Admins of the community. With GDPR you have the right to be forgotten and can request all the data that identifies you as a person to be removed, we respect this choice and you can already do this by emailing admin@relic-mc.com and a System admin or Admin someone will remove your forum account on your behalf (You will have to identify that it is you). Alternatively you can remove your own account from our forums yourself. (Please see below on how to do that). It is also worth noting our servers have a automatic backup policy and all backups are kept for a maximum of 30 with logs and then a 1 month backup is kept for all of time this backup does not contain any logs or any data that could personally identify anyone. Please be aware that our gaming servers are located in the UK however our web servers are located in the United States. Following all of this please note that as of next Sunday 3-06-18 (3rd of June) we will be preforming a purge of the forums any accounts that have not logged in over the last 90 days (From the 3rd) will be removed! If you wish to keep your forum account and get updates when we push big updates out then please log into your account over the next week. The below will be created into a post and added to the help section of the forums and added to the bottom of the rules. 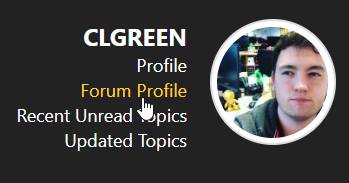 Once logged in head to the top right corner where you can see your forum name and photo (if you have one) then click on 'Forum Profile'. Once you have done that you should then see 'Actions' at the top (Near the forum logo). Before the account will be deleted you will be asked to confirm your forum password. 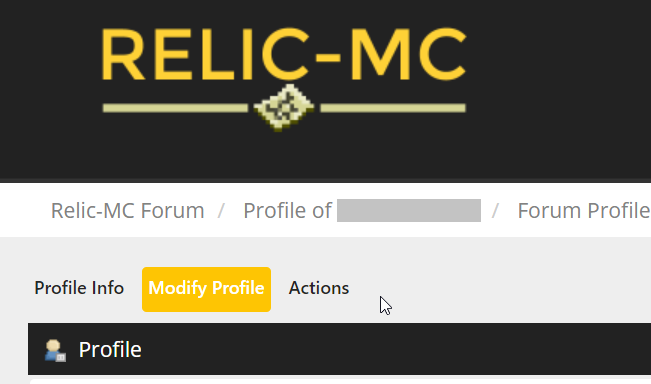 Thanks again for being with Relic-MC!